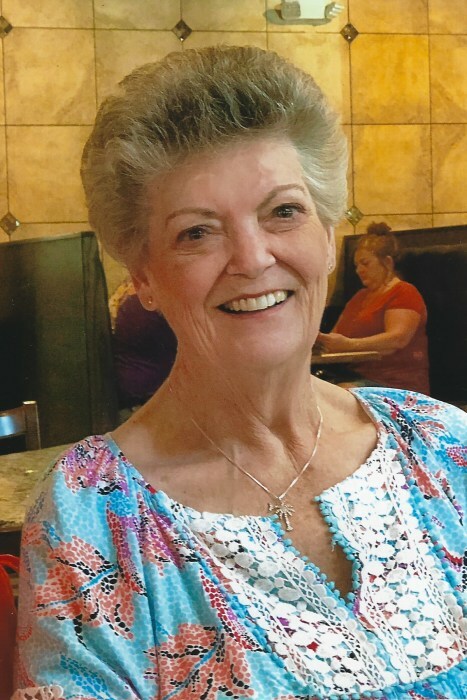 Mrs. Sandra Fisk Marchand, 74, of Summerville, passed away Saturday, October 27, 2018 at Summerville Medical Center. She was the widow of the late James Rodger Marchand who passed away in 1987. Born February 2, 1944 in Lodge, she was a daughter of the late Jacob Eddie Fisk and Lois McMillan Fisk. She was the retired owner of Molly Maid of Dorchester franchise. She was a member of Carters Ford Baptist Church. One of her favorite pastimes was going the Senior Center and playing Dominos and Bridge. She was very active with planning the Bells High School Class of 1962 Reunions. She loved spending time with her grandchildren. Surviving are: her children, Michelle Marchand Schmitt and her husband Mark of Summerville and Michael Marchand and his wife Kimberly of Ridgeville; grandchildren, Matthew Schmitt and Aaron Schmitt; and brothers, Eddie Marshall Fisk and his wife Ethylean of Beaufort and Jerry Lavern Fisk and his wife Helen of Martinez, Georgia. Funeral services will be held 2 o’clock, Thursday afternoon, November 1, 2018 at Carters Ford Baptist Church, 6507 Lodge Highway, Lodge. Interment will follow in the church cemetery. The family will receive friends prior to the funeral ceremony beginning at 1 pm in the Fellowship Hall at Carters Ford Baptist Church. In lieu of flowers, the family has requested that donations be made in her memory to: Komen of South Carolina, 127 King Street, Suite 205, Charleston, South Carolina 29401, or donate at: www.komensouthcarolina.org.